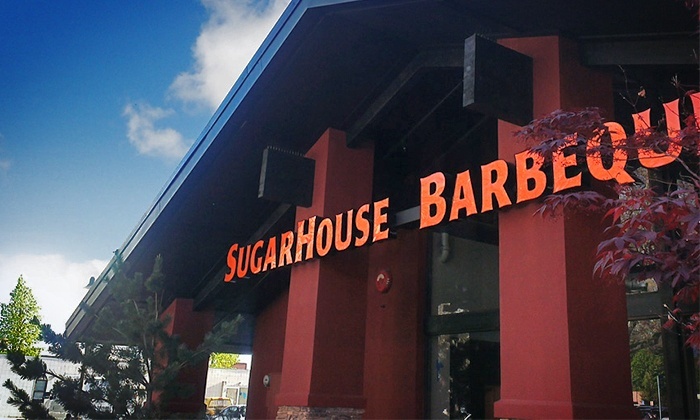 Have you eaten at the SugarHouse Barbeque Company? There’s a great deal for them right now so you can give them a try or revisit a favorite! They get excellent reviews. Plus through today April 14, you can use code SAVE to get 15% off! The code will be applied to 1 unit per transaction and can be used up to 3 times per account. The SugarHouse Barbeque Company is best known for serving delicious, dry-rubbed meat. Promotional value expires 120 days after purchase. Amount paid never expires. Reservation required. Limit 1 per person, may buy 2 additional as gift(s). May be repurchased every 180 days. Limit 1 per visit. Merchant is solely responsible to purchasers for the care and quality of the advertised goods and services.